I’m pleased to announce that we have just released a Community Technology Preview of DotNetNuke 7.1. Consider this an early Beta that is intended to give you a sneak preview of some of the features that will be available in the final release. Just to be clear, this is not a production quality release and only intended to be used for testing and evaluation purposes. The CTP release will allow us to collect valuable feedback on key functionality early in the release cycle so that we can incorporate your feedback into the final release. Please take a few minutes to learn about some of the key items in the DotNetNuke 7.1 CTP. DotNetNuke now offers additional capabilities to ensure that your site is as secure as possible. Passwords are now recovered through a password reset link. This means that passwords are never emailed in plain text. The password strength meter will help ensure your users are following best practices for creating secure passwords. The Banned Passwords List provides you with a way to make sure your users aren’t using some of the most common passwords that easy to guess. 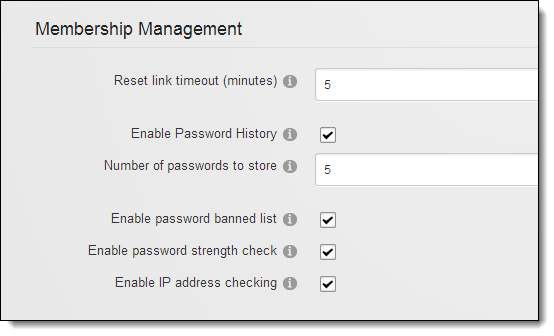 We have also added an option for retaining password history. This allows you make sure that users change their passwords appropriately to match your password policy. The first thing you should notice in DotNetNuke 7.1 is that we have improved the URLs. By default for new installs you will notice that we have removed the “.aspx” extension. Vanity profile URLs are now included in the platform as well. Users will be able to define their own vanity URL under the account management area. We have more enhancements coming for URL management that will be available in the next Beta. Bruce Chapman will be sharing everything you need to know in the coming weeks. 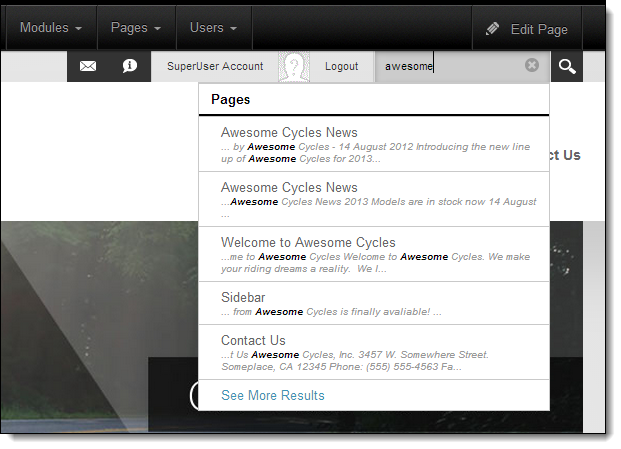 User Interface - The user interface has been completely overhauled to match the patterns in the DotNetNuke WCMS. The new file manager now follows the new look and feel, incorporates new controls and it also includes a new icon view. User Experience - The way a user interacts with the application has been completely redefined. 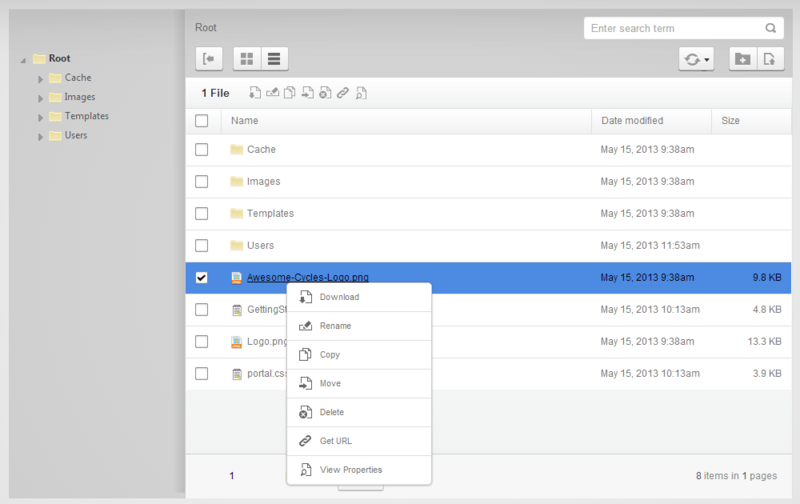 Users will find the new file manager more intuitive and user friendly. We have also added features that users have come to expect such as drag and drop uploads, zip downloads, and file URLs. Performance - The overall performance has been improved which will deliver substantial improvements for organizations with large numbers of files and folders. Search has been completely redesigned within DotNetNuke. All I can really say is that you are going to be impressed! With features like auto suggest, advanced filters, nearly instant content indexing and tag filters, you are sure to be excited about the new search capabilities in DotNetNuke 7.1. Our Development Manager, Ash Prasad, will have a more detailed blog about search very shortly. Download the CTP and test out the search features today! What to expect in the CTP? Just a reminder, this is not a production ready release. This isn’t close to the quality we would expect for a Beta release. We want to give everyone a preview of what we have been working on and get as much feedback as possible. You will find bugs. You will run into features that aren’t complete or that don’t work at all. You will definitely run into features that are still a work in progress. We ask that you pay close attention to the items I listed above and provide us with your feedback. If you happen to have issues with the CTP, the first thing you should do is check the known issues list in the DotNetNuke Beta Forum. We will do our best to keep this list as accurate as possible. If you have found a bug that you can reproduce, we ask that you please create the bug report in our Bug Tracker. If you have questions about functionality or how to do something, please post your question in the Community Exchange. For all other feedback and discussions please use the Open Core Testing Forum. If you aren’t sure which one to use, just use what is most convenient for you. We’ll be looking for feedback everywhere! Download DotNetNuke 7.1 CTP and start using the product. We are looking forward to your feedback!